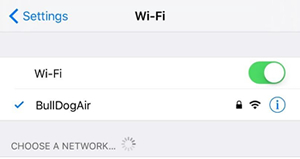 Click on the Wi-Fi tab on the left pane of the “Settings” window. 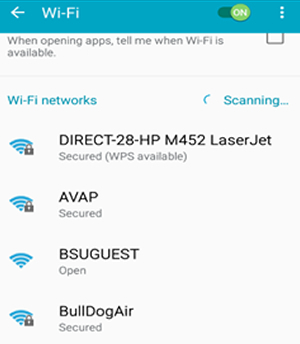 Select “BullDogAir” from the list of available Wi-Fi networks. Click the blue “Trust” in the top right corner. Complete. 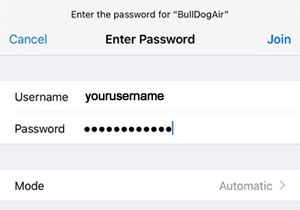 You should now be connected to BullDogAir! 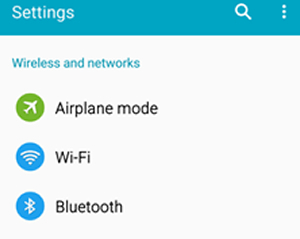 Click ​Wi-Fi in the “Settings” window.